Data suggest that boaters who have had boater education are better prepared for the risks they may face. This is why it is recommended that all boaters take a boating safety course. Taking a boating safety course is simple and convenient. Many different organizations and agencies offer them, so boaters can find one that works best for them. Boaters can even take courses at home or online. A boating safety course can save boaters money. That’s because many boat insurance providers offer discounts to people who have successfully completed a boating safety course. 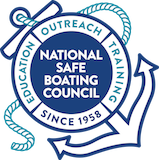 Education: Accidents provide an opportunity to encourage the public to take a National Association of State Boating Law Administrators-approved safe boating course. State Education Requirement: The requirement to have boating safety education varies by state. Contact your state Boating Law Administrator to learn more.